The idea for OKRoads first came to the mind of Oklahoma City resident Eric Stuve in late 2001 after he discovered AARoads.com and the highway sign gallery that was on that site at that time by accident. As it has turned out, it wasn't much of an accident at all, as it began the process of making the site to what it is today, four years, 41 states, and several thousand miles later. After Eric discovered the highway sign gallery (and after spending hours looking at the road sign pictures that were there), he came up with an idea: a website that would cover roads in Oklahoma. There would be information about Oklahoma roads and pictures along the road itself to show web surfers around the world what a particular area of the country looked like at that particular time. This would be uncharted territory for the Internet, as there were no websites focusing on Oklahoma roads in that way on the Internet at that time. Since Eric was just 18 years old in early 2002, and a freshman at Oklahoma City Community College with a new part-time job at Wendy's, the beginnings of OKRoads were small. Armed with his mother's Kodak Advantix camera, he set out during Spring Break 2002 on a four-day journey across mostly Oklahoma, but also going into parts of Missouri and Arkansas, to drive all of Oklahoma's turnpikes from beginning to end. From these humble beginnings, a road sign photographer was born. When the pictures were developed in June 2002, OKRoads.com was born. 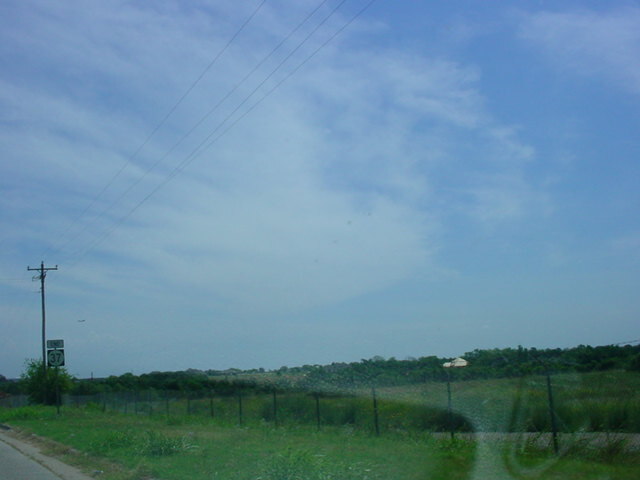 At that time, the site was accessible via the URL www.geocities.com/okroads. Three months later, in July 2002, Eric set out on another roadtrip with mother's camera in tow once again. This time, he drove through western Kansas, the panhandles of Oklahoma and Texas, and New Mexico on a trip that Eric dubbed the Plains & Panhandles Roadtrip. 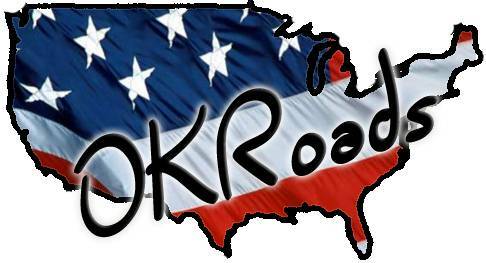 September 5, 2002, was the day that OKRoads.com was officially born, as Eric purchased the domain name OKRoads.com. He spent some time for the rest of the year taking state highway terminus photographs from around southwest Oklahoma. After the fall semester ended, he left for a 4-day roadtrip called the Bayous & Blues Roadtrip that took him through Dallas, Houston, New Orleans, Memphis, and Little Rock. The year 2003 was the biggest year yet for roadtrips. Eric made six trips of over 1,500 miles in length during that year, spanning 32 states and from coast to coast. The Delaware Trip in March was exactly 4,000 miles long and took OKRoads to the state of Delaware, where Eric visited friends. During the summer of 2003, Eric took three long trips. The first was the Fields Trip, which went through Kansas, Nebraska, Iowa, Illinois, Indiana, Michigan, and Missouri. The second trip was the Deserts & Mountains Trip, which went through Texas, New Mexico, Arizona, California, Nevada, Utah, Colorado, Kansas, and Missouri. Finally, Eric made a return trip to Delaware via a much different route than the first during Delaware Trip Part Two. Two other major roadtrips in 2003 followed; the South Texas Roadtrip in October and the Florida Trip in December. We'll give three guesses as to where each of those trips was to. With all of these long roadtrips around the country to go along with the pictures from around Oklahoma, OKRoads.com became packed to capacity. For this reason, on January 1, 2004, OKRoads split into two separate websites, OKRoads.com, which retained all the pages and pictures from the trips around the country, and the new OKHighways.com, which became the new home for all things inside Oklahoma's borders. 2004 was planned to be an even bigger roadtrip year. The original trip plan for the year included a trip to Arizona in March for baseball spring training, a trip to Seattle in June, a trip to the upper midwest in August, a trip to a mystery location in October, and a trip to San Diego in December. Only one of these trips, however, actually happened, as some things in Eric's life changed during this year, and most of it was in a short period of time. But let's start at the beginning; in March, he did go to Arizona for the Spring Training 2004 Roadtrip. In April, he resumed roadtrips around Oklahoma after a six-month hiatus. The month of May was a busy month for Eric, as he made several trips all around Oklahoma, taking pictures from over half of the state. Trips during this month were made to the Oklahoma panhandle and to all other parts of the state except for far southeast Oklahoma. The end of this month brought some changes to Eric's personal life. He left Wendy's after working there for 2 1/2 years and accepted a position at Holiday Inn Express, which meant that his days of being able to take off for long periods of time were over. On June 23, Eric made his final roadtrip to southeast Oklahoma, which gave OKHighways.com coverage of all the signed state highways' terminus points in Oklahoma, that is, except for two others he would discover in November 2004. Eric was able to take a few days off work during the summer, and did take two roadtrips. No creative names for these trips were ever made; they are simply referred to as Summer 2004 Roadtrip #1 and Summer 2004 Roadtrip #2. The first one was during mid-July, and in three days, Eric traveled through Fort Worth, Dallas, Texarkana, Little Rock, Memphis, and St. Louis. The second trip was five days long and took OKRoads to four new states, Minnesota, Wisconsin, North Dakota, and South Dakota. Since this trip, Eric has not gone outside of the state of Oklahoma, which is making him long for those days when he was out of state about once a month! Eric took three major roadtrips in 2005. These were also the first three major roadtrips covered with his new Sony CyberShot PSC-100 digital camera. The first was South Texas Roadtrip Part 2, where he visited some of the same parts of Texas he visited on the first trip, along with some new territory in the Lone Star State. South Texas Part 2 was slightly less than 2,000 miles and three days long. The second and longest trip was 11 days long, took us through 23 states and covered over 6,600 miles. The Summer 2005 Roadtrip allowed OKRoads the opportunity to visit five new states; New York, Connecticut, Massachusetts, Vermont, and New Hampshire, along with our second visits to Ohio, Wisconsin, Minnesota, and South Dakota. The final trip of the year was a 4-day trip through Missouri, far western Illinois, and Arkansas, and took us through the St. Louis area and the scenic mountain drives through the Ozarks, Ouachitas, and Winding Stair Mountains. In early April 2006, he took a roadtrip through West Texas and New Mexico. The West Texas Roadtrip was three days and 1,850 miles long. During the trip, he drove all of hidden Interstate 110, which was the final 0.92 mile of interstate he had not driven in the state of Texas. So far, Eric has driven every mile of interstate in Oklahoma, Texas, Kansas, and Delaware. If it wasn't for the short section of Interstate 72 in Missouri, we would also have the Show-Me State's interstate mileage clinched. What does the future hold for OKRoads? Besides the many webpages left to be made from the St. Louis/Fall Foliage Roadtrip and the West Texas Roadtrip, the future is a bit unknown. In April 2006, he accepted a position at the Courtyard by Marriott in downtown Oklahoma City, so it appears he won't be taking any more major roadtrips in 2006. With the ever-increasing gas prices, that may not be such a bad thing.